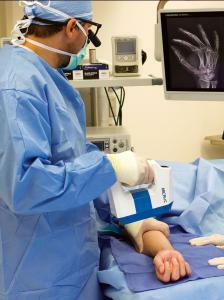 ATLANTA, GEORGIA, UNITED STATES, September 10, 2018 /EINPresswire.com/ -- As Micro C Imaging progresses toward FDA clearance, the team will interact with 3,000 of the top U.S. and international hand surgeons and medical professionals attending the prestigious American Society for Surgery of the Hand (ASSH) annual meeting and exhibition September 12-15 2018 in Boston. The company has invited medical professionals at ASSH 2018 to learn more about the Micro C™ and, therefore, increase their knowledge and competency about cutting-edge clinical advances and new research findings in hand and upper extremity surgery. These professionals include practicing hand and microsurgeons, scientists, fellowship program physicians, hand therapists, and physiatrists. Dr. Gregory Kolovich, Micro C Co-Founder, Chief Medical Officer, and hand and microsurgeon, remarked, “We encourage our colleagues to meet with us to learn more about the Micro C --- noteworthy among a wide range of hand surgery products and technologies in the ASSH exhibition hall.” Dr. Youssra Marjoua, Micro C International Medicine Chief, adds, “In addition to our goal for launching into the U.S. market, we are keen on moving as rapidly as feasible into the global arena, in both developed and developing countries.” Drs. Kolovich and Marjoua have devoted professional and personal resources to medical missions and to development of marketing relationships necessary to successfully enter promising country markets. Evan Ruff, Micro C Chief Executive Officer, shares, “The company’s prowess includes inventing and applying innovative solutions that benefit the medical, business and financial aspects of hand-specialized practices.” He leads Micro C’s successes in product development and expansion of its intellectual property portfolio, such as the recent approval of Micro C’s flagship patent. 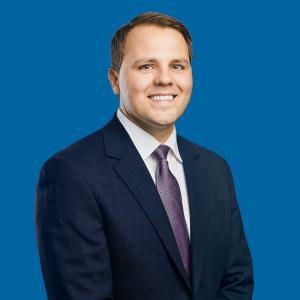 He and Dr. Kolovich attract investors, many of whom are orthopedic surgeons, not only engaged as financial partners but also as future users of the Micro C solution in their clinical and surgical procedures. 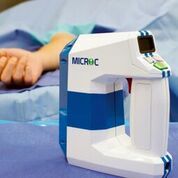 The Micro C™ is a groundbreaking medical imaging solution designed for surgeons and physicians treating disorders of the extremities that combines a compact, handheld X-ray and digital and infrared camera and image receptor with software and consumables. It is designed to deliver greater accuracy, clarity, safety, speed, and integration, replacing 60-year-old X-ray and fluoroscopy equipment that is bulky, expensive and less safe. Following achievement of FDA compliance, commercial launch of the clinical embodiment will be scheduled, as will launch of the surgical embodiment following its FDA clearance. For more information visit the Micro C Imaging website or email: info@microimaging.com or phone: +1 470.344.9734. Media inquiries can be directed to: media@microcimaging.com.